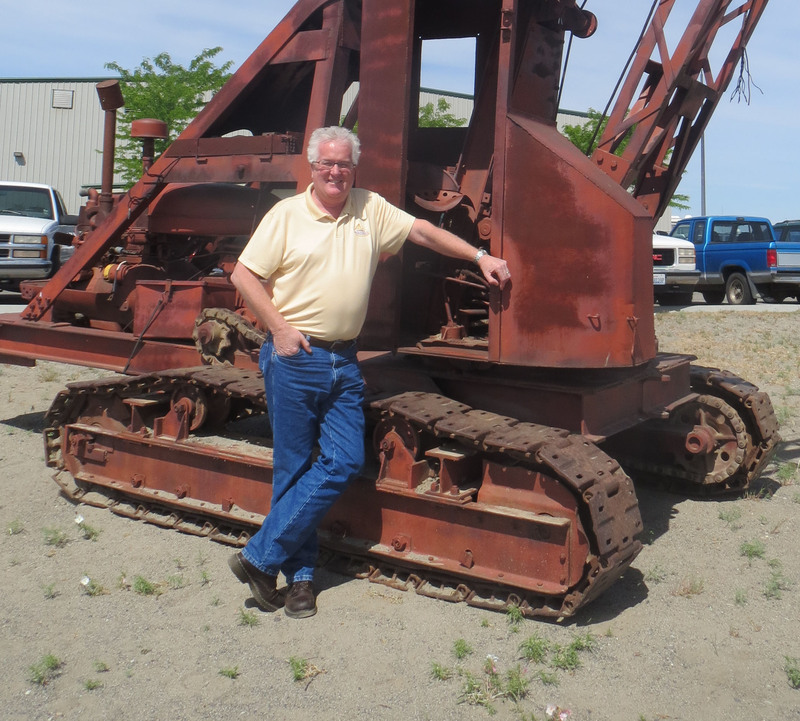 WHECO President Dave Wood stands in front of a 1940s-era Badger crane that was used in a rock quarry near WHECO’s headquarters in Richland, WA. WHECO has five U.S.-based facilities and one in the Marshall Islands. WHECO has been a major player in the product support realm of cranes for many years, and yet the company’s management team spends a lot of time explaining what they do. 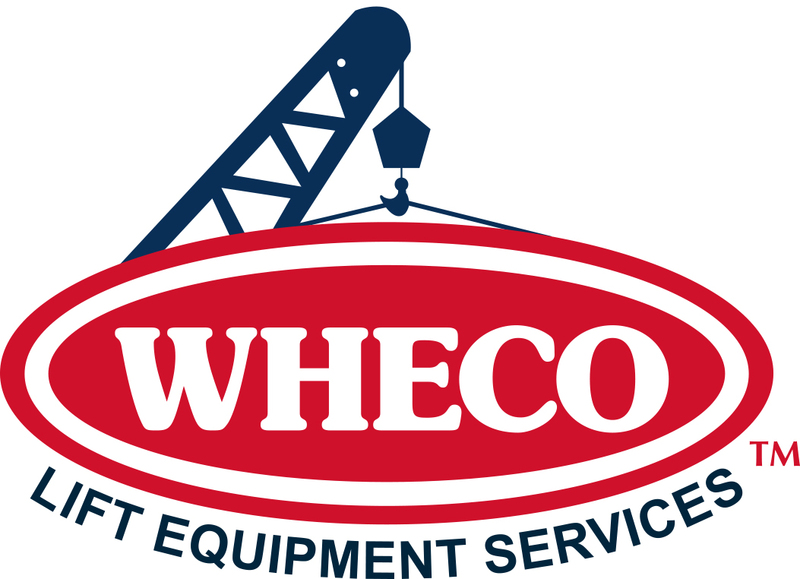 But when it comes time to repair an accident-damaged crane or restore and give new life to an older unit, WHECO is most often the company name that comes up. Wood joined WHECO in December of 1986 after reconnecting with the company’s founder, Ron Williams. “I had met Ron Williams several years earlier on a project my dad’s construction company was performing,” he recalled. “Ron was on the BOD that owned the project. He later moved to the Tri Cities, where we reconnected. At the time I joined WHECO, there were about five employees, and the company specialized in hydraulic work. We started performing complete rebuilds of equipment for a private power line construction company and the military in the late 1980s. It was these two industries that led us into the crane world. In 1994, Wood became a partner in WHECO, and soon after was named president. WHECO built its reputation early on as a can-do company, he said. Wood said the WHECO team has a philosophy to not “bruise” the customer, but to offer them a viable alternative to just replacing the damaged component. ACT had the opportunity to catch up with Wood about WHECO, recent projects, the product support market place, and what he likes about working in the crane business. What we discovered is that Wood is an engaging, thoughtful, and passionate business man who cares very deeply about the crane industry, its people, and quality. WHAT IS THE BIGGEST CHALLENGE FOR WHECO IN THE CRANE MARKET PLACE? Working with the OEMs and showing them we are really an asset to their product, not a liability. For years, and yes even today, there are repairs being performed that, in all reality, do not meet the OEM’s requirements or comply with Federal OSHA. WHECO has always performed its repairs with the cards face up on the table, with full documentation of what we did or do. 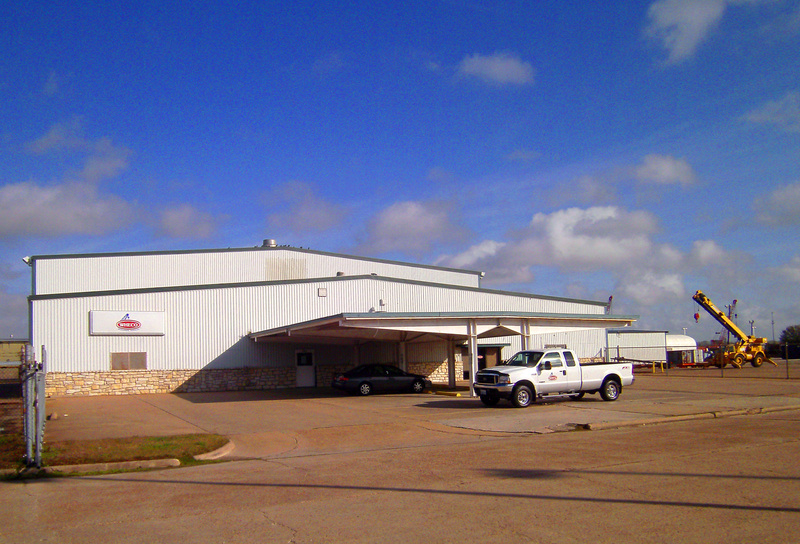 We have been repairing equipment for over 30 years, and have learned a lot in that time. On the OEM side, this is a new avenue, and the learning curve is long and hard for some cultures to change. That said we will continue to work at it and hopefully win them all over. IS BUSINESS UP, DOWN, OR THE SAME AS A YEAR AGO? WHECO’s volume is up, but you have to work harder and smarter to get the business, and there is less margin in the work. When the ball rolled off the table in 2008, a lot of equipment was parked, and when a piece did have an accident, it was many times just parked and replaced with another idle piece. We have seen a resurgence in the use of equipment, but with guarded optimism. We attended ConExpo, and were encouraged by the exuberance of the attendees. We have also broadened our scope in what we offer and expanded the type of customer we serve. We used to be geared more to the crane rental companies, but now split that about evenly with the general contractors in the industry. TELL US ABOUT A RECENT WHECO PROJECT IN WHICH YOU ARE ESPECIALLY PLEASED WITH? WHECO restored a 38-year-old 300-ton truck crane for mining work, giving it at least 20 more years of working life. We were contacted by one of the largest mining companies in the world about extending the life of a 38-year-old, 300-ton truck crane another 20 years. This crane is unique in that it can operate around the mine in full configuration with minimal support. A more modern crane takes more people and support equipment. The planning part of this project took almost two years of meetings until it was finally funded. The mine crane was shipped to WHECO’s Santa Fe Springs, CA, facility where it was completely disassembled to a bare weldment. The electrical, air, and hydraulic systems were all updated or upgraded, and a modern LMI system was installed. The crane was shipped to WHECO’s Santa Fe Springs, CA, facility where it was completely disassembled to a bare weldment. Every weld on the crane was third-party inspected and documented to assure it was still structurally sound. All systems were completely rebuilt or replaced. The power and torque was increased in the carrier to give it better maneuverability and performance in the mine. The electrical, air, and hydraulic systems were all updated or upgraded where possible. The crane was made more service and repair friendly, which the guys in the field appreciated and had some input on. Lastly, a modern LMI system was installed. The crane has been performing at the mine as hoped. 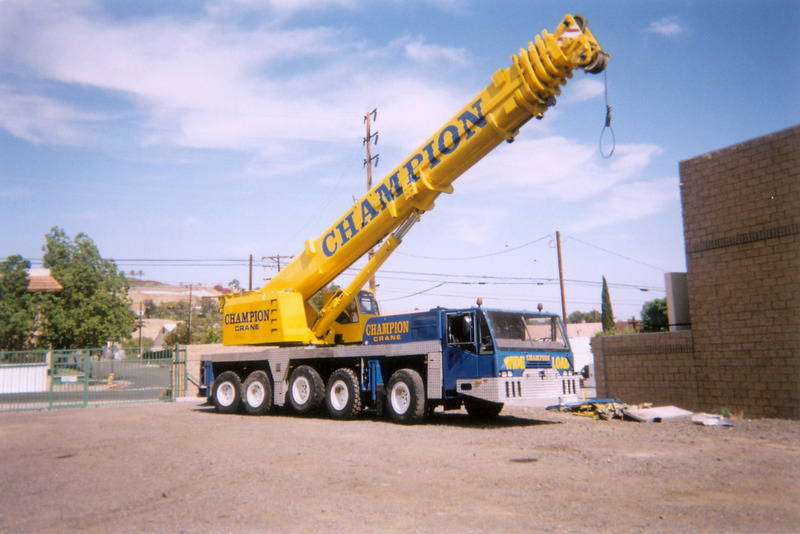 The crane was shipped to WHECO’s Santa Fe Springs, CA, facility where it was completely disassembled to a bare weldment. Every weld on the crane was third-party inspected and documented to assure it was still structurally sound. All systems were completely rebuilt or replaced. The power and torque was increased in the carrier to give it better maneuverability and performance in the mine. The electrical, air and hydraulic systems were all updated or upgraded where possible. The crane was made more service and repair friendly, which the guys in the field appreciated and had some input on. Lastly a modern LMI system was installed. The crane has been performing at the mine as hoped. This project has led other companies to take notice and contract with WHECO. We currently have two major crane re-manufacture projects in our facilities, and more being negotiated. With the replacement cost of new equipment, many companies are exploring the re-manufacture option if the return on investment works. I tell Karen, my wife, I may never really retire, as I enjoy the industry so much. I grew up in the construction business, and heavy equipment has been part of my life since I was a young kid, and it gets into your blood. I enjoy the daily challenges, as there are never two that are the same, and every time the phone rings, this proves to be true. I enjoy the people and the relationships that I have made over the years. Some have become very close friends. In the big picture, this is really a small industry of very hard-working and good people. I enjoy our team members, as they are like family, and some have been with us for many, many years. Simple: “Honesty and Integrity.” This was instilled in me by my dad, who built his construction company based on those simple two words. If you treat people like that, you can sleep at night. This is not only the companies you work with and for, but the people that work for and with you. WHAT’S YOUR FAVORITE ADAGE AND WHY? “Every Day is an Opportunity Disguised as a Challenge.” This is framed and on my desk. It speaks to the way I think, and the first time I read it, I had to put it in print. It keeps you balanced when things may not be going the way you wished or thought they should. My wife will tell you I am the eternal optimist. My wife and I enjoy traveling and meeting new people and seeing new places. The Oregon Coast is our favorite place, and we don’t get there enough. This business provides us with the opportunity to travel, even though many times it is work related. We also enjoy our yard, kids, and grandkids. My one vice is antiques, and especially, old toys. My office is lined with old, antique toys—some over 100 years old. Most all are crane and construction related. Crane Almost Misses Starring Role in Terminator 3 “Machines” Movie! 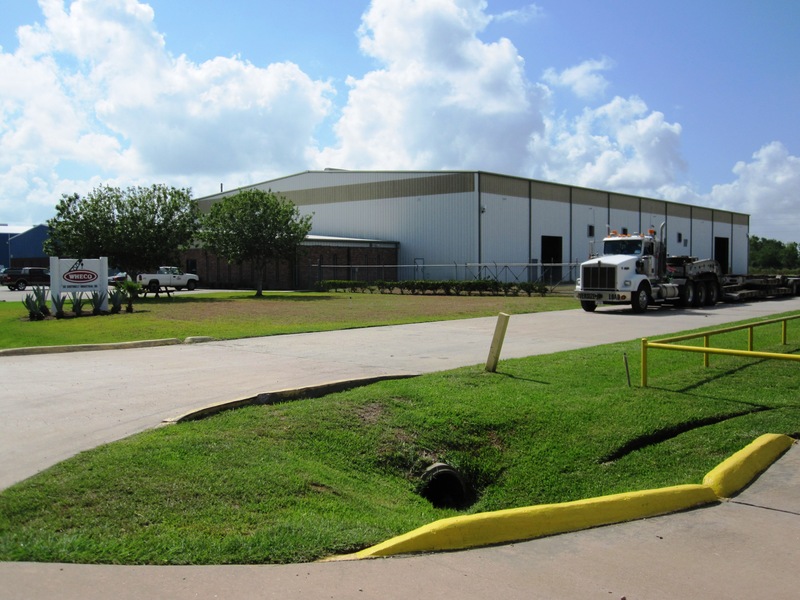 WHECO Opens Repair Facility in Houston.